My Funny Valentine celebrates beloved songs from stage and screen. 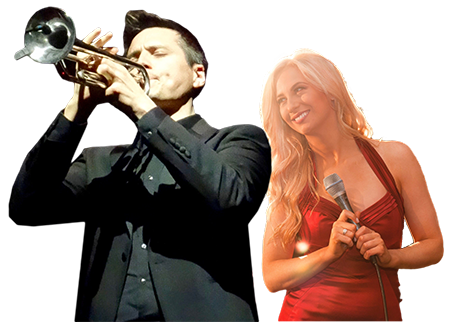 Ireland’s foremost trumpeter Niall O’Sullivan and international award-winning vocalist Shona Henneberry, along with piano accompaniment, perform showbiz favorites like Moon River, Stardust, and, of course, My Funny Valentine. A sublime romantic program.